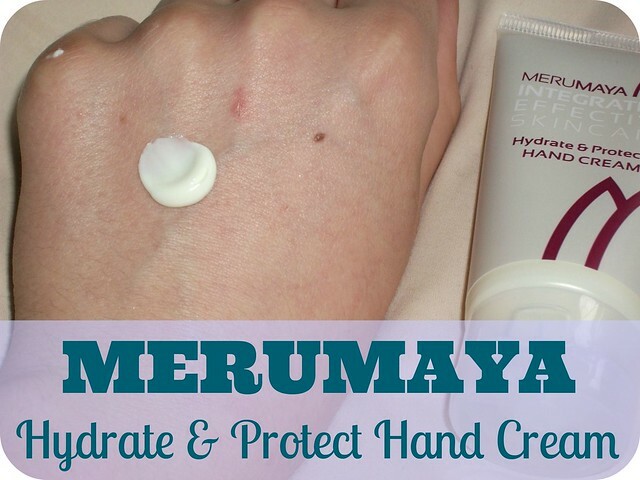 Merumaya is a brand I've heard a fair bit about, and always good things, so when I was offered a tube of their Hydrate & Protect Hand Cream* to try, I jumped at the opportunity! I'm always in search of new hand creams as my skin is prone to eczema at the best of times, and working as a carer means I'm constantly washing my hands or using hand-san, which tend to dry them out further; a good cream is a must for me. Merumaya Hydrate & Protect Hand Cream claims to improve moisture, hydration, plumpness and smoothness, alongside offering SPF15 to reduce further skin ageing. "An effective moisturising hand cream that absorbs swiftly and leaves hands looking rejuvenated; smooth, plump and youthful. HYALURONIC ACID addresses the complexity of effective and lasting moisturisation and helps the skin on the hands take on a firmer appearance. A broad spectrum system of sun filters provide SPF 15 to guard against UVA/UVB damage that can hasten the ageing of skin." The squeezy flip-cap tube (great for easy hygienic application!) comes packaged in a cardboard box which offers loads of product information, from ingredients and directions for use to a general background of Merumaya as a company and their philosophy. The cream is thick and balm-like in texture, spreading over the hands easily whilst feeling rich and luxurious. I have to agree with the swift absorption claim; with just a few seconds of massaging in, my hands feel smooth and soothed but not at all sticky or greasy, which is great! I usually use this as I'm heading out the door to work each day and I can honestly say I've been using hand cream whilst at work, a whole lot less. My hands are generally less dry and itchy during the summer months but I'm pretty impressed by this and look forward to seeing how it fares as the weather gets cooler. 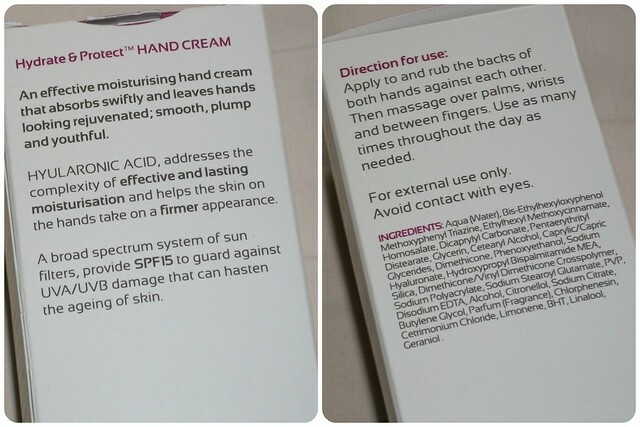 At 23, my hands don't really show any visible signs of ageing, but I'm a firm believer in an ounce of prevention being worth a pound of cure, so I'm hopeful that using products like this will keep it that way! Merumaya Hydrate & Protect Hand Cream is available direct from Merumaya here, priced at £12.50 for 50ml; I admit it's not the cheapest of hand creams, but as it hydrates so effectively, I've found I end up using less of it than I do of cheaper creams, which makes it quite a sensible buy. It's definitely one I'd recommend if you suffer with dry or chapped hands, and I do think it'd be brilliant for nurses, carers, cleaners, and other people in jobs that are tough on the hands. 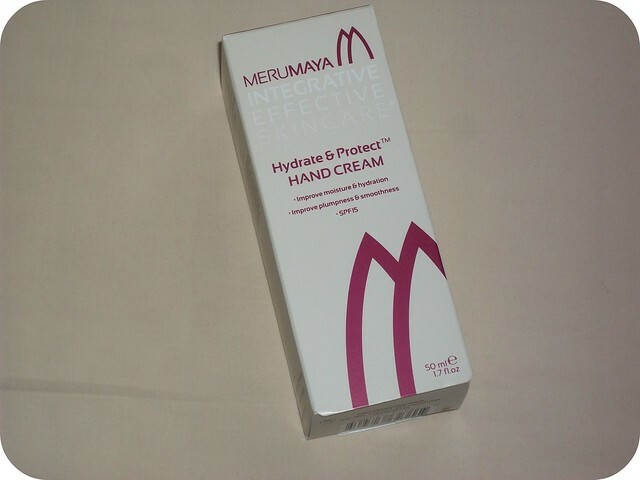 Have you tried Merumaya's Hydrate & Protect Hand Cream? What's your favourite cream for keeping hands soft and smooth? Sounds like a great cream for dry hands!